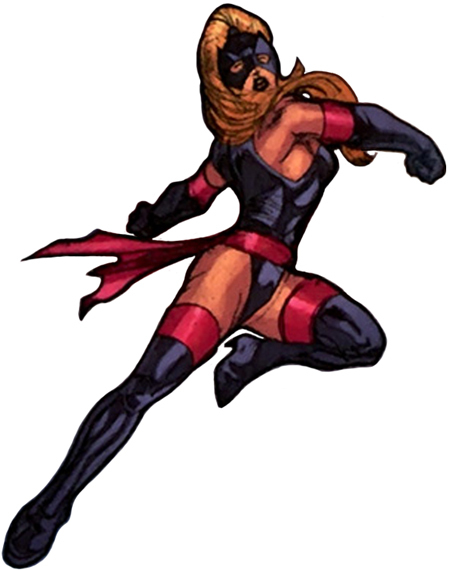 Enhanced Abilities: Ms. Marvel has super human strength, agility, speed, endurance and durability. Invulnerability: Ms. Marvel is impervious to most forms of damage and can take a tremendous amount of punishment without injury. Cosmic Awareness: Ms. Marvel is subconsciously able to anticipate the moves of her opponents, though this power is not exactly reliable and activates randomly. Flight: Ms. Marvel has shown the ability to fly. Energy Absorption: Ms. Marvel has the ability to absorb a wide variety of energy and utilize it to further augment her own super-strength, speed, invulnerability, energy projection, and other powers. Energy Projection: Ms. Marvel can generate extremely powerful photon blasts. Energy Manipulation: Ms. Marvel can utilise her energy power for more constructive uses, such as changing and alternating the various types of energy at her disposal; such as X-Rays, Gravitons, cosmic rays, etc. Energy Constructs: Ms. Marvel can shape whatever energy she has on hand into practical shapes, like razor blades of pure energy or protective barriers for defence. Regenerative Healing Factor: Ms. Marvel possesses a super-healing factor and is able to quickly regenerate from almost any injury. Immortality: Ms. Marvel is functionally immortal and cannot be killed by conventional means, thanks to the entity “Death” dying in his universe. After the Cancerverse was corrupted by the Many-Angled Ones and Death was vanquished by Lord Marvel, Miss Marvel and her fellow Avengers were corrupted and placed under Mar-Vell's service, now calling themselves The Revengers. They fought against the forces of Earth-616 in an attempt to corrupt that reality as well.